As part of the celebrations the Links has been looking back over the course’s history, the origins of which go back beyond 1914 to the late 19th Century when St Andrews was a flourishing, thriving Victorian town. The Eden Course celebrates its 100th birthday today (2 July), in doing so achieving the remarkable feat of becoming the Fourth Centurion across the Links landscape. 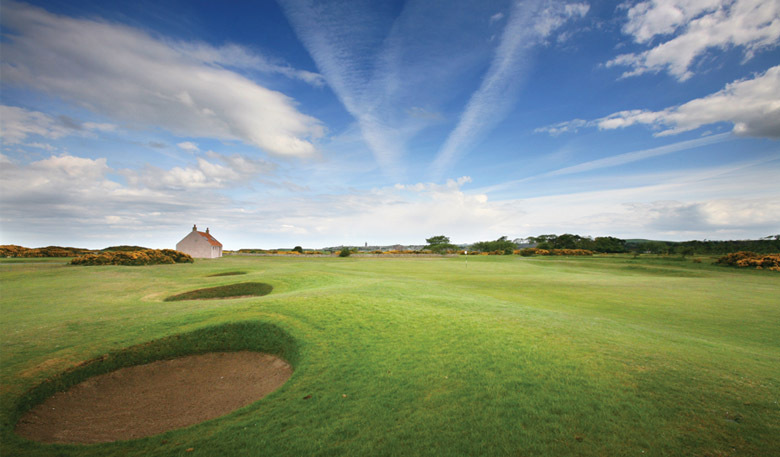 Since its inception, the Eden has proved perennially popular with local and visiting golfers alike, and while it may not have the rich history of the Old or bunkers which are steeped in golfing folklore it offers a unique challenge and great test of links golf. In order to celebrate this special occasion a series of competitions has taken place over the course this week featuring golfers of all ages and abilities, the competitions culminate today with a team event over the course and prizegiving reception. Much has changed over the Eden’s existence and as part of the celebrations the Links has been looking back over the course’s history, the origins of which go back beyond 1914 to the late 19th Century when St Andrews was a flourishing, thriving Victorian town. St Andrews boasted great golf, sea views and a plethora of hotels to cater for tourism. However the Links only had a finite number of hours that it could be played upon and demand was pushing disgruntled residents off the course. In 1895, the New Course was opened, followed quickly by the Jubilee in 1897. 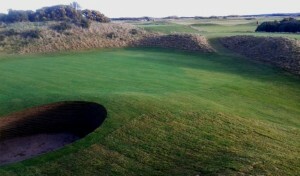 This took some of the pressure off the ancient course but demand still exceeded supply and in 1913 construction would begin on a new course following the St Andrews Extension and Links Order. The land for the course was owned in part and leased from Mr Cheape of Strathtyrum House. The Town Council leased two fields adjoining the Goods Railway Station, where the sheds on the 17th are today plus three fields to the north of Pilmour Cottage and on the northside of the railway. The final agreement which was set out in writing on papers dated the 7th and 10th of November 1913, was to last for 25 years. For the land the Council paid Cheape £130 per annum. There was to be a green fee for visitors during July, August and September of not less than 3d but golfers paying to play the Old Course could play the Eden without further charge. 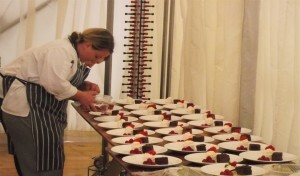 For the construction, the Town Council set aside £3,000. Mr C.D Harris of Sunningdale was taken on to manage the construction but as part of his contract he had to employ local labour. Golf course architect Mr Harry S. Colt was a member of the R&A and was deemed the right man for the job. Above: Eden Course designer, Harry S Colt. 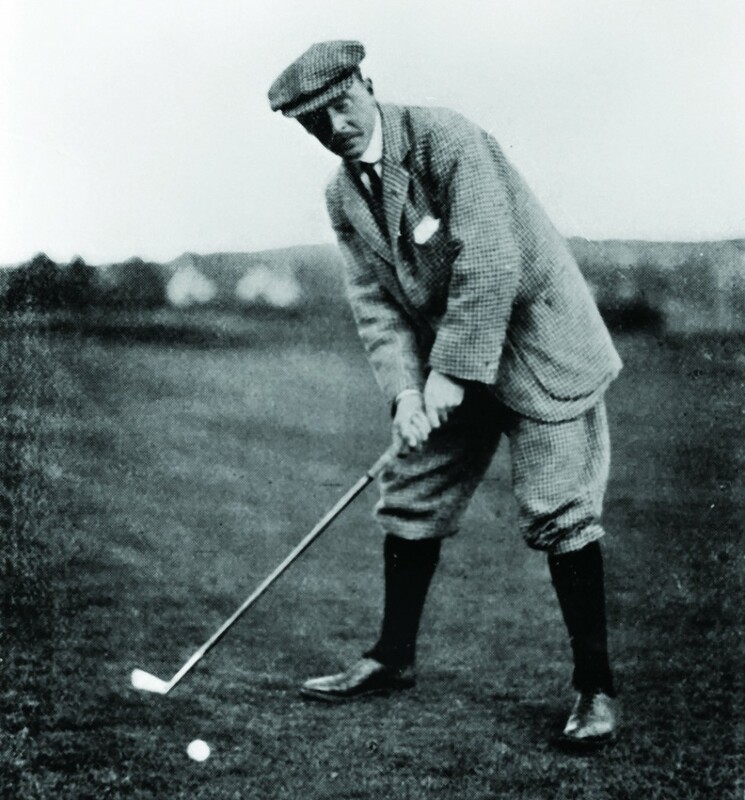 After selected seeds were spread over course and compost added in the spring, the course was ready to play on 2nd of July 1914 and it would be kept open on a Sunday. The other courses since the earliest of times had been closed on a Sunday as it still is on the Old Course. However, Britain the First World War was just over three weeks away and the Eden would remain open on a Sunday so that soldiers returning from combat briefly, would be able to play. The Eden officially opened on 2 July 1914 after storm clouds cleared away in time for the opening ceremony. All the local dignitaries including Provost Herkless were there and course designer Harry Colt. The Provost spoke first saying that golf had been played in St Andrews for centuries and that the Old Course remained the first and greatest of courses in the world. His words were greeted with applause. Herkless praised Colt and announced that the Town Council had in their wisdom asked Mrs Herkless to play the first ball. Fast forward almost 100 years and much has changed on the Eden since those early days; the front nine is largely made up of holes from the old layout apart from the 6th while the back nine boasts seven new holes. Regardless the joy of the Eden remains that it offers the best views of the Eden estuary. Played on a fine Scottish day, there are few courses that offer the golfer such a grand day out. As part of the Centenary celebrations a short presentation is being run in the Eden Clubhouse throughout the month of July and copies of the newspapers of the time are available to view.